I continue the list of Fright Meter's 50 Obscure Horror Films Every Horror Fan should see with numbers 39 through 30. Enjoy, and I do hope you discover a few films to add to your viewing list! It is not an exaggeration to describe this film as one of the most unique horror films to come out of the 80's. Perhaps that is why it has remained so obscure; it follows none of the traditional slasher conventions and often times plays like a freakish acid trip with surreal, often random scenes. But heck, the premise itself---a psycho wearing a Richard Nixon mask terrorizing a group of traveling college students--is enough to make it worthy of seeking out! Fans of Troma films may be unaware of this film, as it was definitely overshadowed in popularity with some of their other releases, such as The Toxic Avenger. 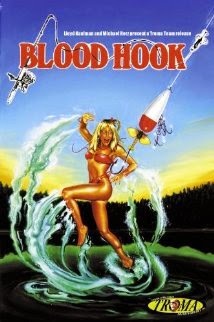 However, despite being very tongue in cheek (like most Troma films), Blood Hook is actually quite an enjoyable little slasher film from the 80's. 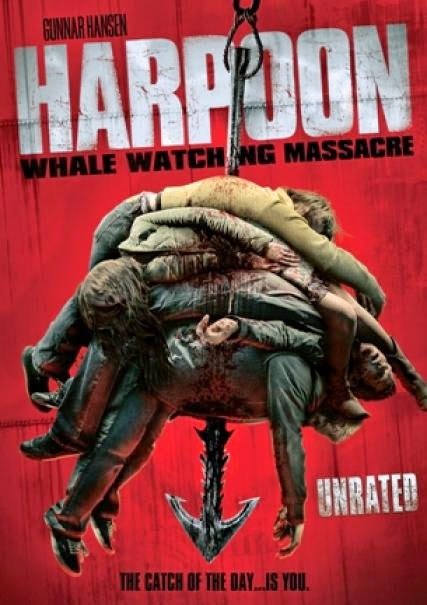 The plot centers on a madman armed with a giant fisher lure stalking people in town for an annual fishing contest. Not only does the killer hook his victims like fish, he also ties his catch up with stringers! Most horror fans are familiar with director Ruggero Deodato because of his highly controversial and disturbing Cannibal Holocaust. However, Deodato continued his work in the genre and in 1986 presented the world with his take on the American backwoods slasher with Bodycount. Starring genre veteran David Hess, the film follows a group of young campers who are stalked and murdered by an evil Shaman. Though the plot is thin, Deodato's stylized camera work and interesting chase make it a unique entry into the 80's slasher annals. 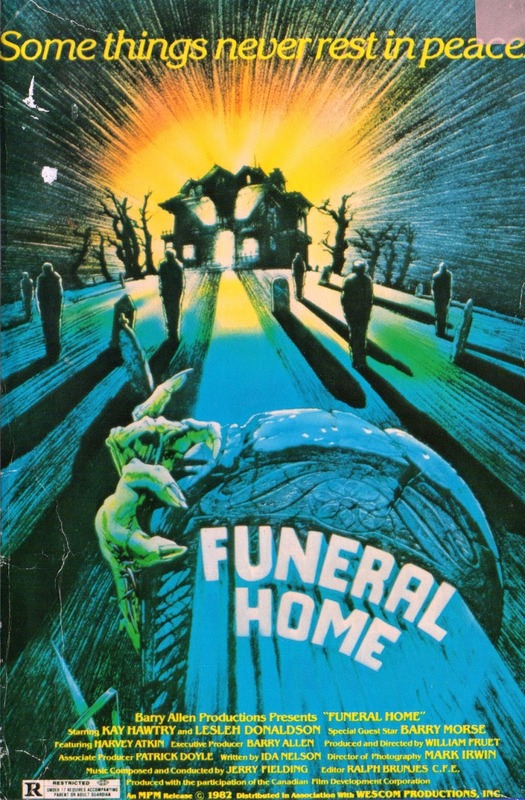 A slow burn in every sense of the word, Funeral Home is an unsettling film drenched in atmosphere and uneasiness. A young girl goes to spend time at her grandmother's house, which served as a funeral home for many years. Now, grandma wants to turn it into a bed and breakfast; the only problem is, the guests disappear. And what is with the creepy noises that come from the basement? Creepy, with hints of Psycho sprinkled throughout, this is definitely one to seek out simply for the chills! (Read our full review here). If you like your horror films gritty and nasty--making you want to take a shower after watching, then this is should be right up your alley. A group of whale watching tourists became stranded at sea when their tour ship breaks down. However, they are rescued by a fishing vessel; the only problem is is that it is owned by a family of homicidal maniacs. With a grimy, claustrophobic setting and violent kills, and a cameo by Gunnar Hansen, this film proves there are still ambitious slasher films being made. (Read our full review here). 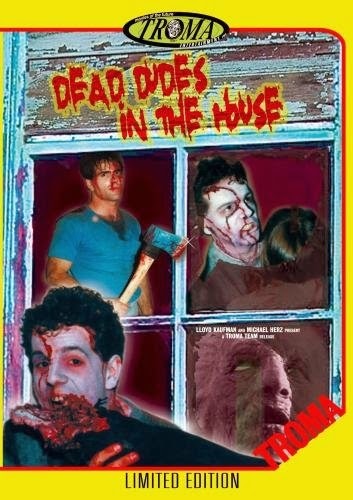 Another criminally overlooked Troma released, Dead Dudes in the House, despite its noticeable low budget and sketchy acting in spots, is full of an undeniable 80's charm and even manages to create some real scares and disturbing images. A group of college friends help fix up an old house that one of them just purchased. Little do they know, the house is not empty and contains the spirit of a murderous old woman. 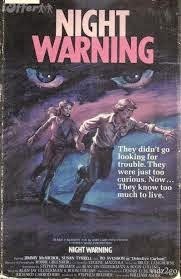 One by one, they fall victim to her and, in turn, become possessed themselves. Again, if you can get past the low budget, this one is a hoot deserving of repeated viewings with a gang of friends! 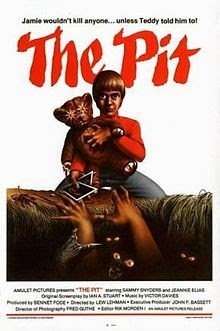 A lonely young boy makes a gruesome discover in the woods near his house: a ravenous monster is living in a large pit. Instead of being scared, he befriends it and begins feeding it-----people who have harassed him. Filmed with bright colors and a disturbingly cheerful tone, The Pit, is certainly a unique film. The wheelchair scene alone is worth checking this one out! It would be easy to describe this film simply as a gay Fatal Attraction, but it is certainly much more than that. It's also an engaging, realistic character and relationship study. Naive and fragile Elliot finds himself in a confusing and ultimately dangerous dilemma when, despite have a fiancee, he falls in love with his male boss. This film is realistic, sensitive examination of obsession, rejection, and intolerance. The slow, focused narration leads brilliantly to the inevitably depression climax. (Read our full review here). Also known as Butcher, Baker, Nightmare Maker, this engrossing films gives us a psychotic and obsessed female antagonist that makes Annie Wilkes and Alex Forrest look like Girl Scout Troop Leaders. Indeed, Aunt Cheryl, portrayed in a powerhouse performance by Oscar nominated actress Susan Tyrell (seriously....her performance alone makes this film worth viewing), loves her nephew Billy so much that when he begins making plans involving moving away from her, she does whatever she can to prevent him from doing so. Bloody, over the top, and deliciously disturbing, this film definitely deserves to be better known. This made for television film packs a spooky punch. 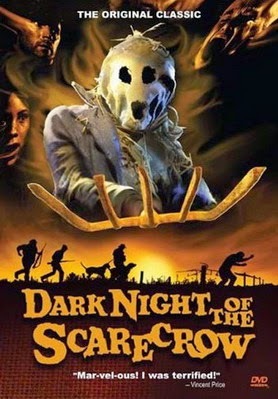 Beautifully shot, with a dark, foreboding atmosphere and unsettling score, Dark Night of the Scarecrow is everything a horror film should be. When a group of townsfolk wrongly kill a mentally challenged man because they believe he attacked a young girl, he comes back, dressed in the same scarecrow disguise that he was murdered in, to seek his revenge. Highly effective with an unbearable amount of tension.